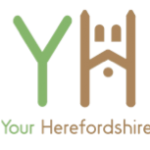 Herefordshire Council has today confirmed that repairs to Lugwardine Bridge are expected to be completed early in December. The repairs are taking place after some of the wall was damaged in a collision earlier this year. The A438 Hereford to Ledbury Road remains open but temporary traffic lights are in place.